Belkasoft Evidence Center makes it easy for an investigator to acquire, search, analyze, store and share digital evidence found inside computer and mobile devices. Work for Belkasoft Evidence Center? Learning about Belkasoft Evidence Center? "Excellent software for Digital Forensics Analysis "
Used it for analysing my phone backup and ram dump data. I use it for analysing RAM Dump and extracting all the artefacts. The result can be generated to reports. The only con about this software is expensive. It could be trial for one more month. Best GUI Software for analysing the evidence with all the organised artefacts depend on the collected data. Used it as trial version for 30 days and loved this software and I would recommend this to every investigator for analysing the evidence. 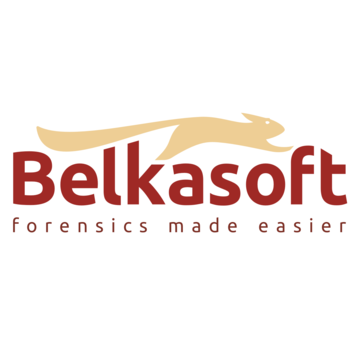 * We monitor all Belkasoft Evidence Center reviews to prevent fraudulent reviews and keep review quality high. We do not post reviews by company employees or direct competitors. Validated reviews require the user to submit a screenshot of the product containing their user ID, in order to verify a user is an actual user of the product. Hi there! Are you looking to implement a solution like Belkasoft Evidence Center?